Q: We have a glassware washer and currently use Alcojet. We would like to know if you need to include a neutralizing agent like Citrajet® as part of the wash cycle (acid rinse)? A: Alcojet® Low Foaming Powdered Detergent is what we call free-rinsing, meaning it rinses completely away with water, and without rinse aids. There are no softeners, brighteners, dyes, fragrances or other additives that are not involved with the specific action of aqueous cleaning. Having said that, we know of many applications that do still involve an acid rinse/wash. Acidic cleaners like Citrajet® Low-Foam Liquid Acid Cleaner/Rinse detergent are better at removing inorganic residues, salts, oxides and other acid labile substances. So in short, Alcojet powder can be used by itself, but depending on your day to day residues, a two step wash including an acidic detergent rinse addition could be warranted. If you know that hard water is in use, it may also be warranted. 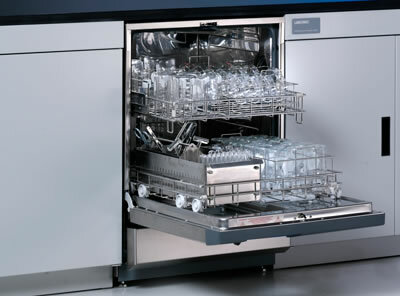 We are also certainly aware of many manufacturing CIP cycles, as well as the aforementioned smaller scale glass washers, that incorporate an alkaline wash followed by an acidic rinse. It will provide a more robust cleaning procedure. Also note that Citrajet cleaner is only available in a liquid concentrate and you would require a liquid dispensing system on your washer to automate its use. You can place some Citrajet detergent at the bottom of the washer at the beginning of the rinse cycle, if no liquid dispensing system exists. Have more application questions about detergents or tough residues? Ask our cleaning experts at Ask Alconox, or request a copy of the Alconox Guide to Critical Cleaning. Downloadable certificates of analysis, technical bulletins, SDS, and trace analysis are available from the Alconox website. You can also request a free sample of Alcojet, Citrajet or any Alconox, Inc. detergent by completing the questionnaire at Get Sample.